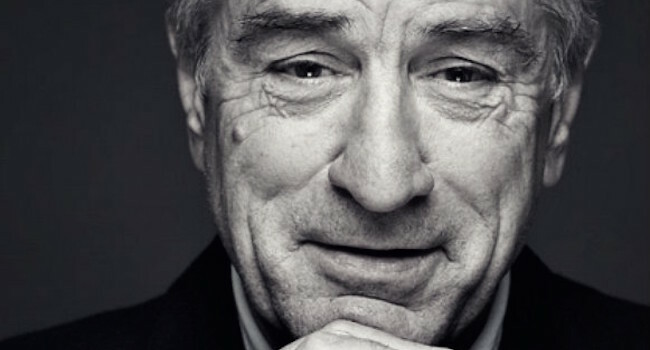 If there’s been any actor of the last few decades who has had a larger impact than Robert De Niro, there can’t be many1. Since the man had a birthday last week (a Leo, imagine that), and will be a prominent guest at a certain celebration screening of a film highlighted last week by moi, decided to put together a movie list in his honor. Hadn’t done one in while, and thought to rank his onscreen pairings; and there have been a great number of them across film genres. These represent my favorites. 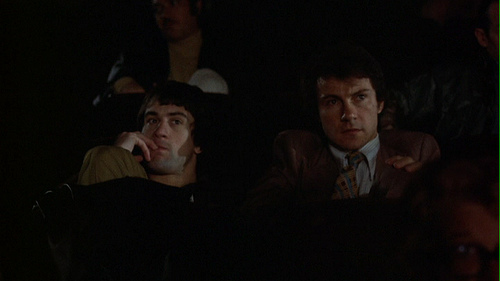 Harvey Keitel (Charlie), Mean Streets – If I’m to start anywhere, might as well be at the beginning where De Niro and director Martin Scorsese first intersected, paired with another up-and-comer. “Charlie (Harvey Keitel) is a small time criminal trying to work his way up the local mafia food chain.”, as Mark Walker described in his fine review. A superb Yin to who-know-who’s dangerously electrified Yang. 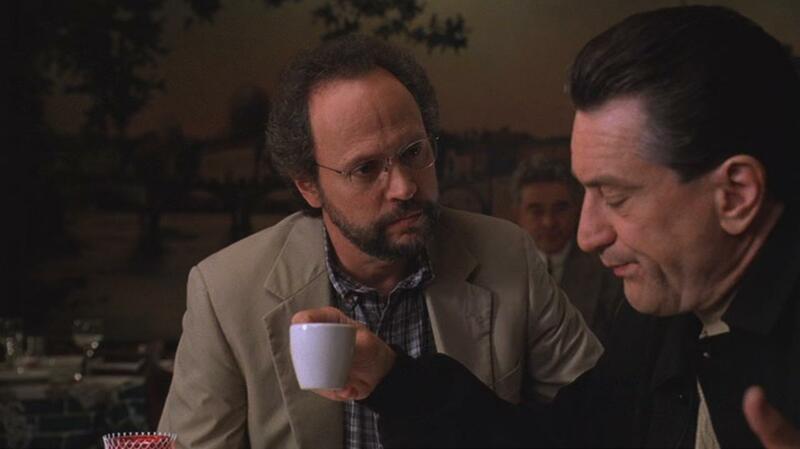 Billy Crystal (Dr. Ben Sobel), Analyze This – Pairing the comedian (and underrated actor) Crystal against the serious characterization work of De Niro was a brilliant one. A study of contrasts that works because they’re so different, and alike (being New Yorkers at heart, through and through). Many thought De Niro had hit a rut during this period, but a part like this, with Billy Crystal as foil3, surely dispelled that notion. 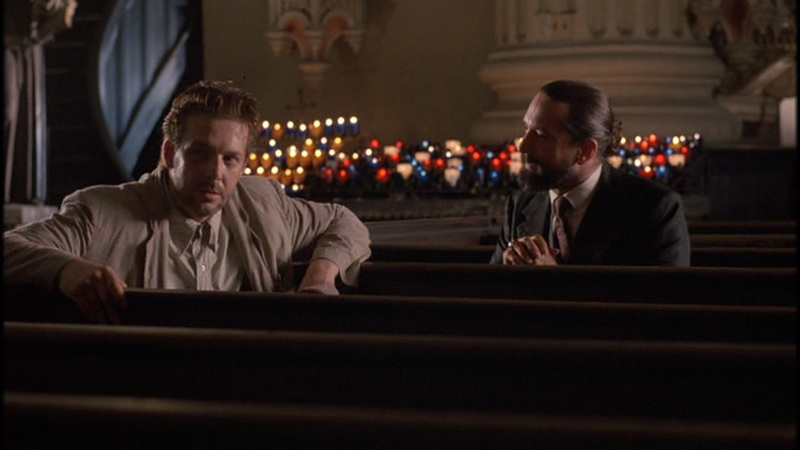 Mickey Rourke (Harry Angel), Angel Heart – Even in relatively minor roles, De Niro almost always stood out, especially if he happened to play a role like that of the Devil himself (if in various guises, though). His interactions with the ill-fated private eye, a tailor-made role for Mickey Rourke, if there ever was one, are wonderfully unsettling. Destined for the type of outcome well-known to the protagonists of film noir and horror this mixes. 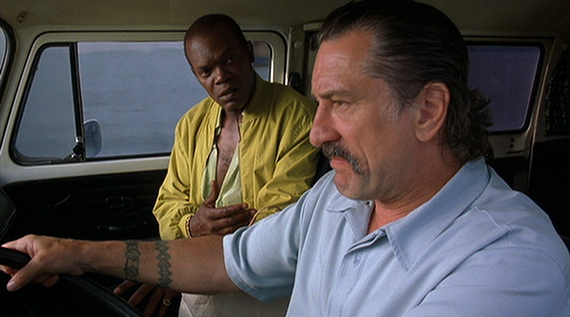 Samuel L. Jackson (Ordell Robbie), Jackie Brown – While he had a lesser supporting role, De Niro’s Louis Garza handful of collaborative scenes with Jackson’s prime villain remains a highlight of the film. 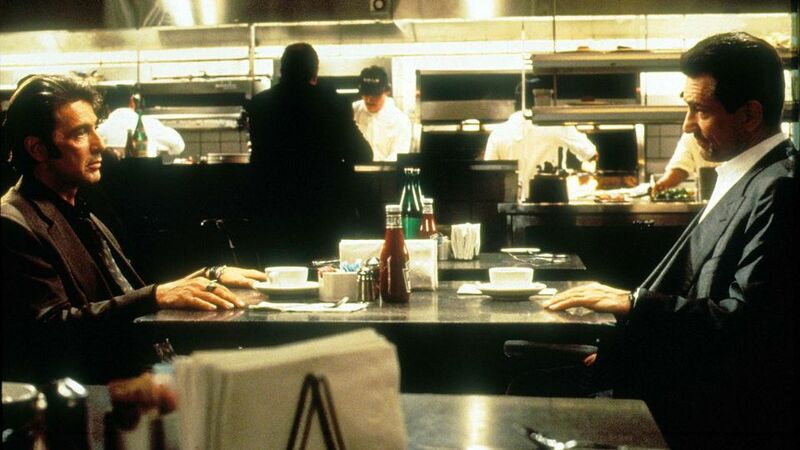 A pair of heavyweights bringing Elmore Leonard’s nefarious novel characters to life through dialogue and facial expressions just brings a smile whenever they’re onscreen. Neither had to showboat to make it work as well as it did. Christopher Walken (Nick), The Deer Hunter – Although some aspects of the film are rightfully discredited, like the Russian Roulette scenes, De Niro’s and a young Christopher Walken’s (award winning) acting are not. If I rewatch this film, not my favorite of the late-Michael Cimino, it’s mainly for their scenes together. They’re a mesmerizing duo, painful and poignant to the point the audience physically aches for them. Jean Reno (Vincent), Ronin – Having rewatched yet again, recently, the superb chemistry between the out-of-work espionage pros of De Niro’s Sam and France’s Jean Reno’s is simply a joy to behold. As J.D. highlighted in his excellent review, “He plays the reliable guy so well and exudes a quiet dignity that is fascinating to watch. Frankenheimer wisely plays up the mutual respect between De Niro and Reno’s characters.” Natch. James Woods (Maximilian ‘Max’ Bercovicz), Once Upon a Time in America – It really is something when De Niro isn’t the scene-chewing actor in the scene, let alone the whole movie. That their pairing still works beautifully within the context of a lengthy tale of a group of Jewish gangsters in New York, from childhood and through their glory years during prohibition, culminating in their meeting again 35 years later says a lot. 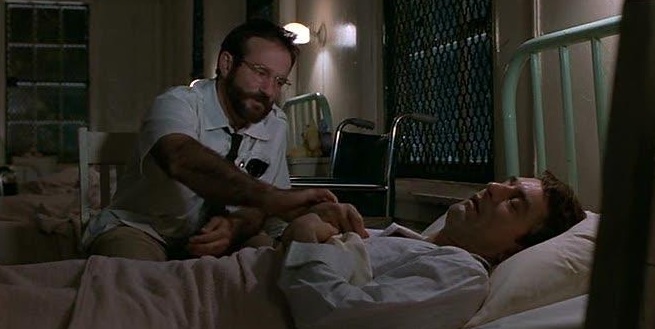 Robin Williams (Dr. Malcolm Sayer), Awakenings – If De Niro worked so effortlessly with Billy Crystal, I’m damn sure he learned to do because of his earlier work with the late-Robin Williams in this. Says something when two giants in their fields play their roles with such conviction, and totally in sync. Only wished they’d stay right there onscreen, hoping filmmakers could have written more scenes, or another movie, with them in mind. Ray Liotta (Henry Hill), Goodfellas – Returning to a Martin Scorsese collaboration, Liotta’s starring role was an eye-opener in many ways. That he could hold his own against the likes of De Niro…in an epic crime drama, at that…spoke volumes. Their scenes together, and De Niro is not in this as much as you’d think, brought a remarkable realism to this depiction of Nicholas Pileggi’s non-fiction tale in a definitive film. Joe Pesci (Nicky Santoro), Casino – While I’m fully aware he won best supporting for the previous film, Pesci greatest collaboration with De Niro occurred here, IMO. 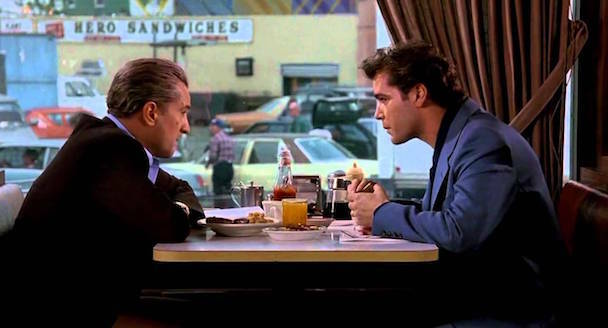 And man, oh man, did these two go at it in this still undervalued Scorsese production. Even with explosive residue and bloodstained hardware all about, what this pairing set off was cinematic combustion, and luckily for us, not buried out in the sticks somewhere. Robert Duvall (Det. 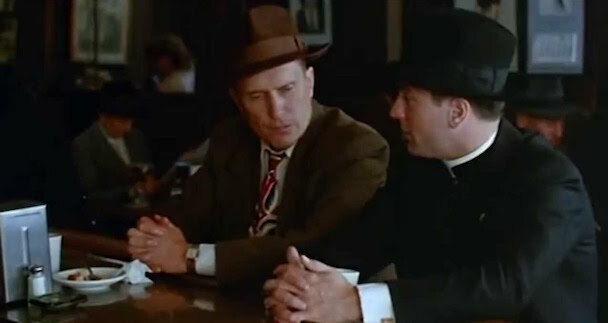 Tom Spellacy), True Confessions – Talk about a pair of acting titans onscreen, this film had its Godfather saga-veterans in their only face-to-face collaboration. Though more subued than others here, it’s still something to be behold. Their team-up as two brothers (cop and priest) drawn together after many years apart, in the aftermath of the brutal murder of a young prostitute, is often underestimated and just shouldn’t be. Charles Grodin (Jonathan Mardukas), Midnight Run – This likely the most odd match-up of my entire list, but it does play to sheer perfection. The only “buddy film” here, yet it works as a moving character piece, too, within its action movie stylings, and with a rich cast. It’s my all-time favorite Martin Brest film for these reasons alone and would be my favorite Robert De Niro pairing, if not for the one film that tops the list and influences me, still. What can I say, Michael? I think you know how much I love this piece on my all time favourite actor. There’s so many great collaborations here: Angel Heart, Jackie Brown, Awakenings, Midnight Run and, of course, Heat. His work with Philip Seymour Hoffman in Flawless is also very good but unfortunately the film itself can’t match them. Thank you kindly on the linkage to Mean Streets. I’ve often found DeNiro and Keitel a great pairing. They showed it in Taxi Driver too. It’s great timing that you post this today actually. I have a Polished Pwrformance from DeNiro going out today and I’ll surely link to this marvellous post. I saw that (‘course, almost a year ago), Mark. Always make a point to read those in that series. Mr. De Niro is in that rarified air only a few attain, that’s for sure. Sorry for being so, so late in replying to your comment, my friend. Thanks. Damn! Was that a year ago already? Where has the time went? It sure goes fast! Great list. I haven’t seen Analyze This or True Confessions but otherwise these are all really solid choices. The right pairing is number one too. Thank you very kindly, Dan. Sorry to be so late in responding. Yes, Reno and De Niro were to joy to watch in RONIN. My apologies for being so late in my response to your comment, Ruth. Thank you. I would of had The King of Comedy/Lewis in th top 13 but other that we are pretty much in agreement. I too am a big fan of Midnight Run. Yes, that was a fantastic pairing. That’s the problem with lists, the hard choices they make upon the lister. Thanks so much for the comment and sorry to be tardy in the reply, John. No argument from me on the list Michael, especially #1. 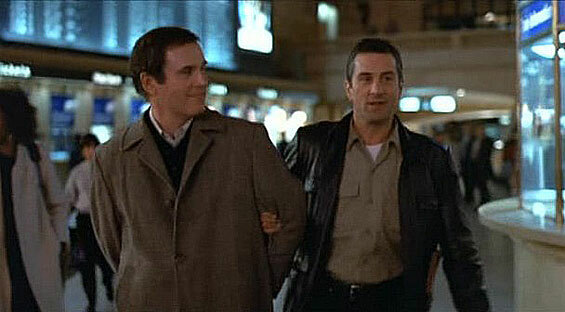 I’m so glad Midnight Run has been released on Bluray, I hope more people will give a watch. Such a great buddy action picture from the 80s and yes it’s probably Martin Brest’s best film. Whatever happened to that guy anyway? It seems Hollywood has blacklisted him after the disastrous Gigli. I also agree about Pesci’s performance, he’s great in Goodfellas but man he’s menacing in Casino. I don’t know why but I had nightmares after I saw the movie for the first time and bat beating scene just scared the crap out of me. Lol! Loved Jackie Brown, he and Sam Jackson had great chemistry and I feel bad for saying this, I laughed out loud when his character shot the girl in the parking lot. I knew it’s coming but somehow Tarantino made that scene comical. Yeah, it’s too bad something like GIGLI could derail Martin Brest’s directorial career. Always enjoyed his work. Hell, there are wonderful bits of filmmaking in his remake of ‘Death Takes a Holiday’, MEET JOE BLACK, that make me overlook its length. Yes, Pesci in CASINO was off-the-charts in ferocity. The head-in-the-vise and bat-beating scenes so over the top, too. We’re in agreement with JACKIE BROWN, too. Am planning another viewing of that soon, too. What a great piece. I’ll read De Niro articles all day! One I would add in DiCaprio in This Boy’s Life. They are both superb. Oh, yeah. Good one to mention, Mark. Thanks and sorry for being so late in responding, my friend. Progression from top to bottom works very well, too. Also way too much like how I would have laid this out. Great catches with Jerry Lewis in ‘King of Comedy’ and Michael Moriarty in ‘Bang the Drum Slowly’. You could also have used Joe Pesci in ‘Raging Bull’. That’s how good they are together. Very well constructed list, and I completely agree with all of your choices. For his more recent roles, I loved him with the cast of Silver Linings Playbook, and his relationship with Bradley Cooper. He really surprised me in that movie. Thank you very much, Courtney. Yes, De Niro has had a wonderful set of supporting roles for David O. Russell, of late. AMERICAN HUSTLE, too, offered another remarkable bit of work by the man. Sorry to be late in my reply. What a great list! I especially like Al Pacino pairing at number 1 – I would have placed it there as well. Thank you, dbmovies. Glad to hear we’re in agreement with our top picks and my apologies for my late reply. A perfect list of pairings and great movies. Can’t fault one.